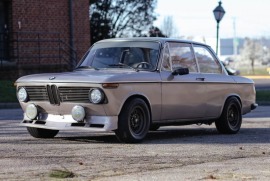 Very early RHD tii. Vin Number is 2750028. Welcome to my 1971 2002 tii restoration project. I already have a build thread on the 02 UK forum but I thought I would share my restoration with the faq crowd as well. My name is Chris and I live in Northern Ireland. I have owned the car since April 2015. I had always loved the 02's though never thought I would buy one. 02's are very rare in Ireland especially tii's. I have literally only seen 3 other tii's in Ireland. One is owned by a guy called Jay who I met on the UK forum. Turns out he lives 5 minutes from my house! So when I saw a tii for sale locally, for only £4k, I had to have a look. Myself, my dad and our mechanic went to have a look. The car had been off the road for 25 years. The owner had been restoring the car himself for a number of years and was now too old to finish the job. He also had a Verona roundie 2002 for sale as well. It was a perfect driving car which he said he had also restored and painted himself. My car was in primer, though the guy had started to paint the engiine bay in Malaga. He said he didn't like the original colour which was Bristol Grey. No rust was visable and the owner had told us he had rebuilt the engine himself (not numbers matching). Seemed like a bargain, and even though none of us had a clue about 02's we decided to make an offer, straight away it was accepted! Plan was simple. 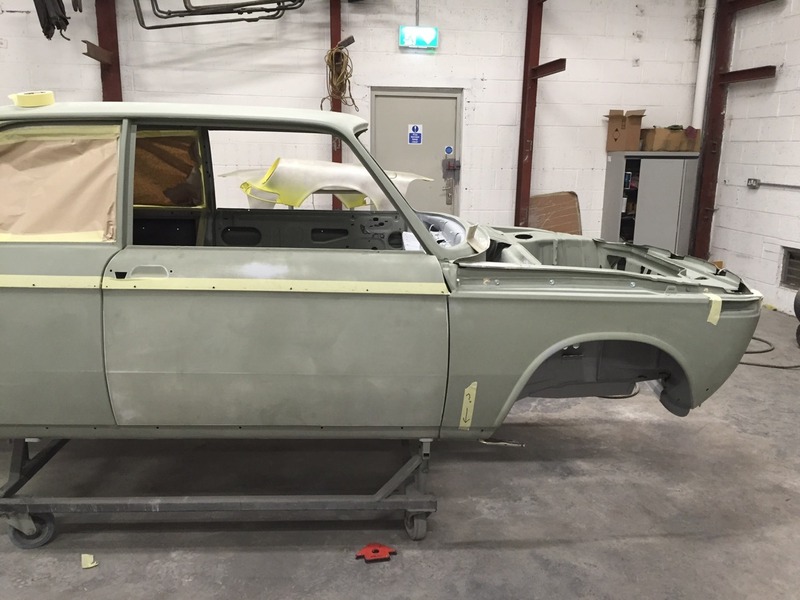 Take the car to a local body shop, remove the old primer and have the car resprayed in the original Bristol Grey. Reupholster the interior. Put it all back together and enjoy. Of course, nothing is that simple. And if something seems too good to be true, then it probably is. Once the car was stripped back to metal, all became clear. The previous owner was not a talented restorer. The car was butchered. An insane amount of filler, patches of metal welded over rust, even bathroom silicone was found. We still wanted to save the car so we had the body shop cut out the rust and bad repair jobs. Though this wasn't a place that restores classic cars. The jobs are usually used cars brought in by local dealerships with a few dents and scratches. Now and again they would respray cars but only when they could fit them in around the large amount of little jobs they had coming through the doors. Clearly my car needed lots of attention and it was too much work for them to take on. Too cut a long story short, after a year and a half, and with very little progress, I had enough and decided I had find someone else to do the job. A few months before this I went to a BMW car show in Co Kildare, Ireland. At the show was a beautiful Taiga green 2002 tii. The car won best in show that day. The owner was with the car along with the guy (Jon Millar) who restored it a couple of years before. I chatted to them for a bit and was very impressed by the quality of the restoration. Heres a link to the rebuild of the green car. https://youtu.be/epaRupYWOZE I decided to track the guy down and disscuss him taking my car on. He seem enthusiastic but explained he doesn't cut corners and would only use new panels etc. It was going to be a completely different type of restoration and I wasn't sure I was able to commit to a concours quality job. Since buying the car, I'm not ashamed to say that I had become a bit of an 02 "enthusiast". And I had also come to the reality that this was not going to be the cheap and easy respray that I had convinced myself at the start it would be. So I bit the bullet and borrowed a trailer, then took the car from the local bodyshop and drove it 4 hours south, all the way to Limerick to "Classic Carreras". As I'm sure you guessed, they normally specialise in Porsches but the owner Jon Millar has also restored four 2002's and knew them inside out. Heres his current website; http://www.classiccarreras.com if you wanted to see some of their very impressive work. If you want to have a look at the previous 02's and other cars, then its at the old website. http://classiccarworkshop.ie/restoration.html This brings us up to date. Work started in May and the car has has a lot of metal work since then. Its had new doors, rear quarter panels, inner wheel arches, sills, front panel, boot floor, rear panel, floor panels and a good condition used boot (trunk) and bonnet (hood). In other words, there isn't much left of the original car! 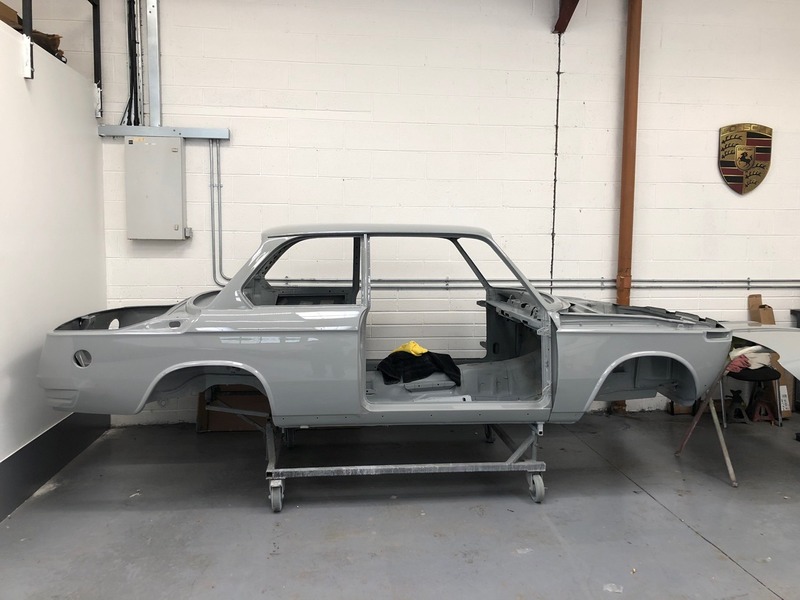 The car is now primed and almost ready for paint! Its come a long way. I have some cool mods planned for the car. Since the engine isn't the original one and most of the panels are new, I figure it won't upset the purists too much making a few little changes. Plans for the car are as follows; 5 speed - Already sourced and rebuilt from a nice chap from Holland called Michael Uber. 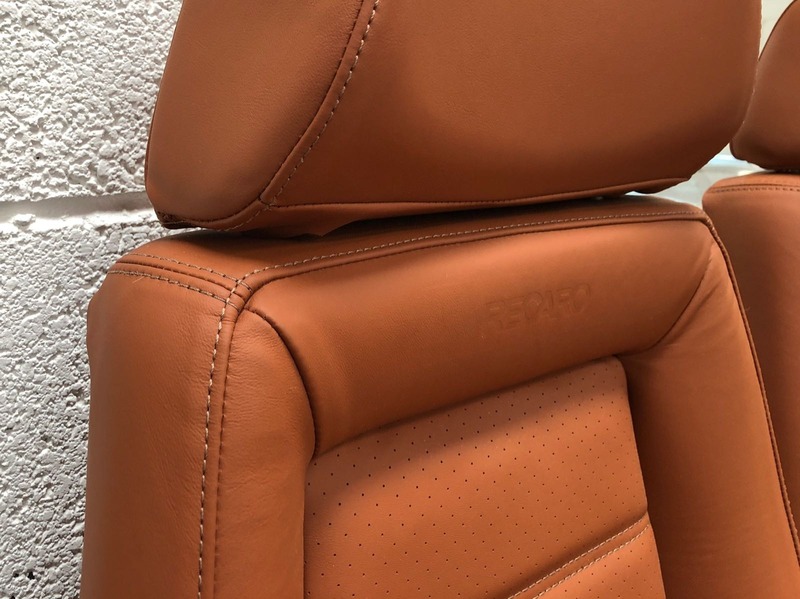 Reupholster interior in brown leather and change the front to Recaros - Bought on ebay aleady. Lux rear seat, the one with the centre armrest - came with the car. Italian indicators (blinkers?) - found a NOS set on a German classified website. delete lower black rubber trim. Fit short pre 1971 02 bumpers - I have bought a set of remake S/S ones from group harrington, not sure how their going to work out. Larini s/s exhaust - From Jaymic. 13 inch MOMO Cloverleafs - Found a set on an Italian classifed website, already had them painted and diamond cut. Also, after seeing the state of the body work which had been carried out, I wasn't too confident about the previous owners engine rebuilding skills. I decided to get someone to have a look at the engine. After taking the engine apart the rebuilder said it was an awful job. There was even painted body filler on the Kugelfischer and the warm up valve unit, to hide the rot. The engine had to be totally rebuilt. Everything was replaced by genuine BMW parts and it was fitted with a 123 distributor. The Kugerlfischer and injectors where sent off to Lucas Development to be rebuilt. Hope you enjoy the progress and the photos. Thanks, Chris.